This is commonly called bulimia, and is a serious and potentially life-threatening eating disorder. It is characterized by episodes of bingeing followed by inappropriate methods of weight control, purging, abuse of laxatives and excessive exercise. Some people even purge after eating only a small snack or a normal sized meal. The exact cause of bulimia is unknown, but there are several possible factors that could play a role in the development of eating disorders. One's biological make-up, emotional, health, societal expectations and other factors could increase one's risk. 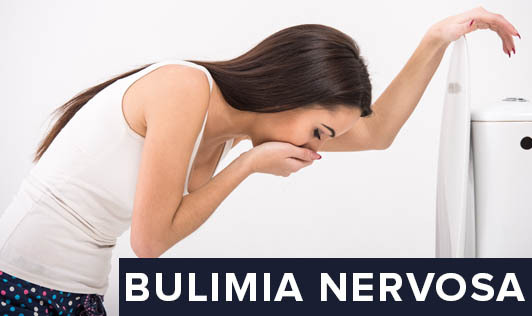 If you have any symptoms or signs of bulimia, it's important that you seek medical help immediately!